Another race, another milestone for Shani Davis. 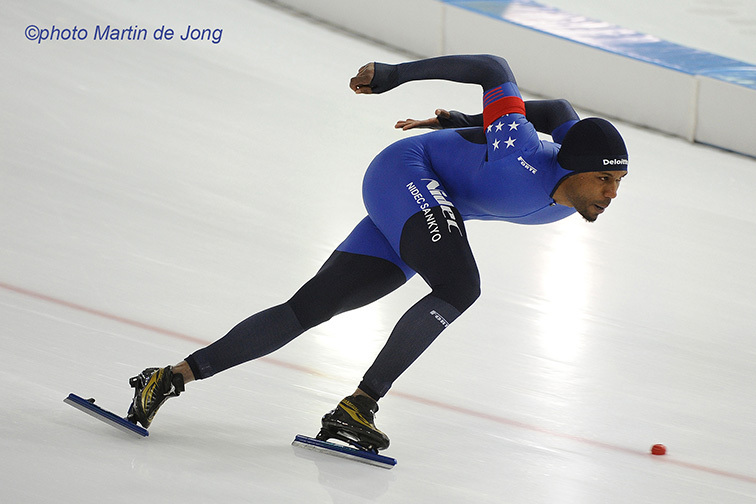 Racing in the final World Cup event on the ISU’s fall calendar, Shani became the all-time World Cup points leader while earning his second trip to the podium on the season. In the speedskating-crazed town where he’s had so many memorable races, including his most recent World Championship title in 2015, Shani took 1000m silver (1:08.57) just behind season points-leader Kjeld Nuis (1:08.21), reminding everyone that he’s still a contender to win any 1000m race he enters. Earning 80 World Cup points with his 90th career individual WC medal, Shani’s 12-year total of 13,034 moves him past Jeremy Wotherspoon, the Canadian sprinter who amassed 13,009 points over a 15-year career from 1996-2010. Davis now returns to the States to prepare for the US Championships in Salt Lake City in early January.